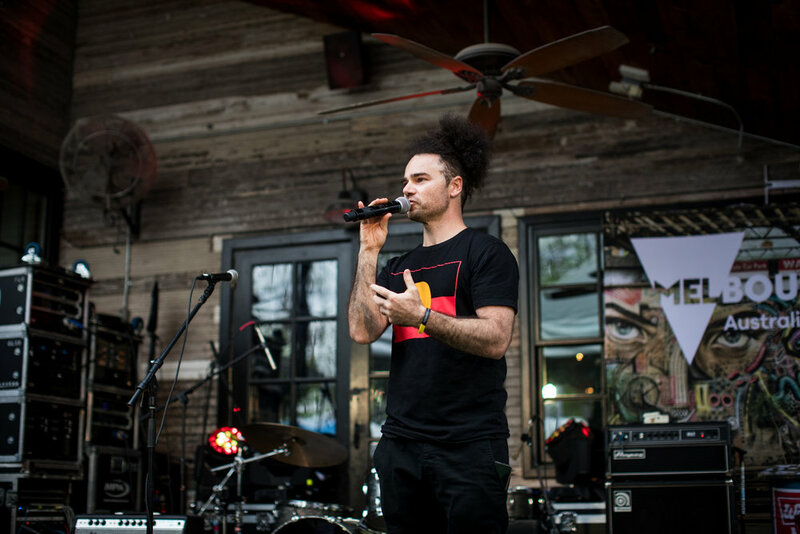 The VMDO team recently returned from Austin, Texas having attended SXSW 2019, the premier global conference for music, film and interactive media. 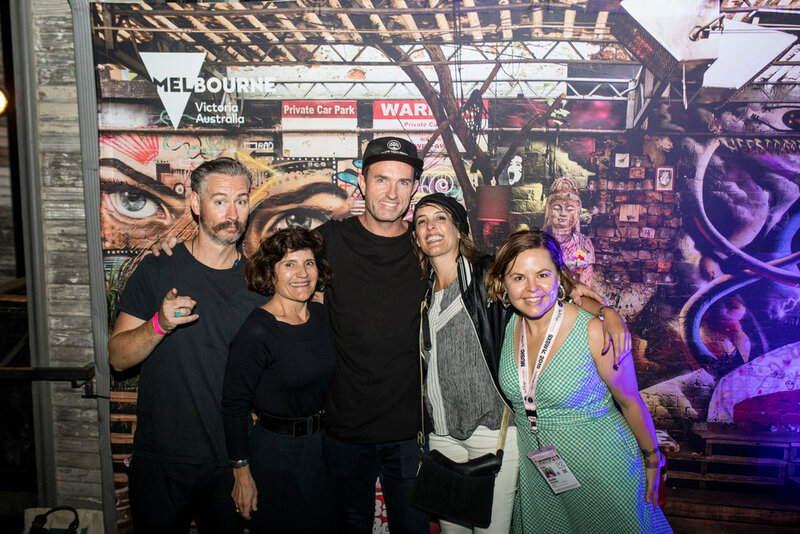 VMDO and Global Victoria presented a day-long celebration of the best in Melbourne music, tech and film at Melbourne Hub, a venue takeover at AUSTRALIA House (Lucille’s Lounge on Rainey Street). We received a warm welcome to Austin by way of Land Acknowledgement from local Native American group Great Promise, in the form of traditional dance, spoken word and musical performance. The Land Acknowledgment was co-ordinated by VMDO’s First Peoples Music Business Manager, Neil Morris. It was both powerful and uplifting and set a beautiful tone for the evening ahead. 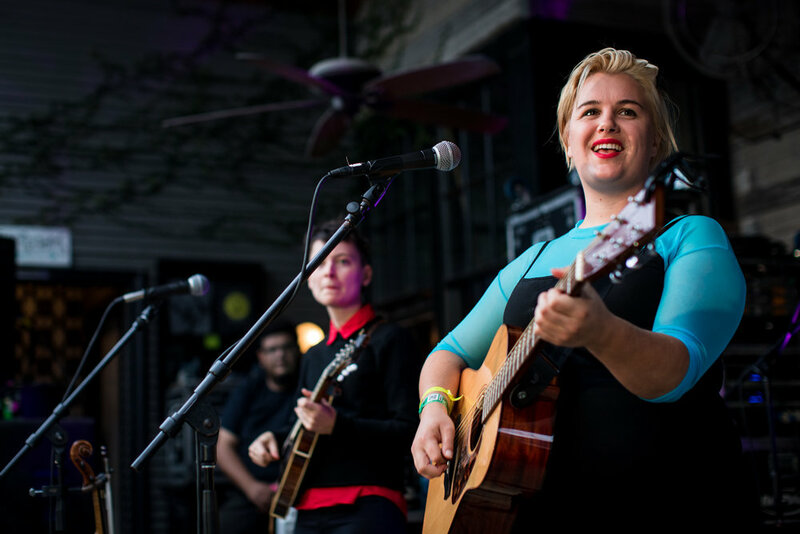 The evening featured performances by a roster of remarkable Melbourne musicians, including Oh Pep!, Two People, Angie McMahon, Mojo Juju, Amyl and the Sniffers (DJ set) and DRMNGNOW (DJ set). The event was at capacity all throughout the evening, with many notable international music professionals and media in attendance. The evening wrapped up with a late night film session of the groundbreaking Australian documentary, Her Sound Her Story. Filmmaker Claudia Sangiorgi Dalimore introduced the film before its very first international screening took place. Special thanks to Global Victoria, Creative Victoria, Sounds Australia, G’Day USA, the performing artists, tech artwork installations and event sponsors Blackmagic Design and Starward Whiskey for making the evening so memorable. The calibre of Victorian artists showcasing at SXSW this year was nothing short of outstanding. 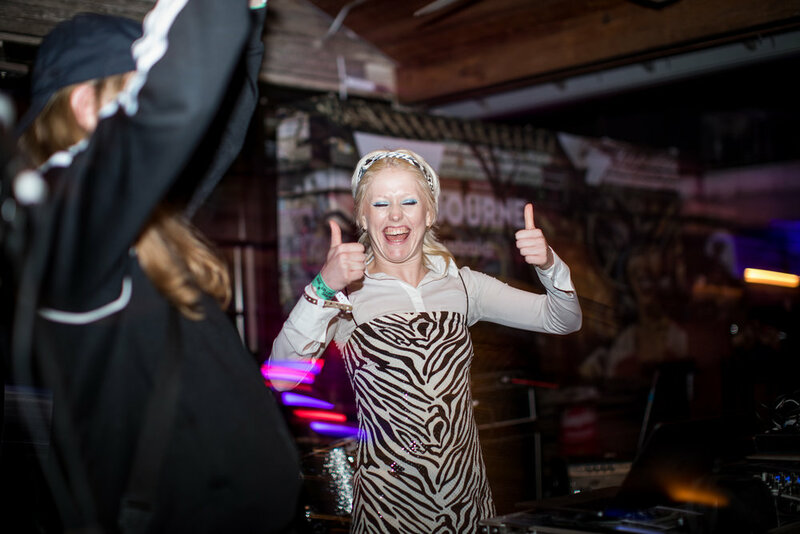 The Chicago Tribute highlighted Mojo Juju as one of the 12 best up-and-coming bands and artists at SXSW, NME named Amyl and the Sniffers ‘one of the planet’s most explosive new bands’ and Angie McMahon took out the prestigious Grulke Prize for best developing (non-U.S.) act. Throughout the week, VMDO staff members Katie Stewart (Music Business Manager) and Neil Morris (Music Business Manager - First Peoples) hosted Victorian delegates Mojo Ruiz de Luzuriaga (Mojo Juju, self managed), Mo Komba (Alt Music Group - Kaiit’s management) and Claudia Sangiorgi Dalimore (Her Sound Her Story, filmmaker) in Austin. The VMDO team also came away with a list of international connections and fresh ideas from the conference, which will no doubt benefit future programs and the wider Victorian music community. Conversations are ongoing now between both the VMDO and Victorian delegates, we look forward to reporting on future outcomes from this beneficial trip.